Marriage is ‘forced’ if someone is pressuring you to marry and you do not want to get married. Or, you are too young (under 16) or too vulnerable to consent (agree) to it. It is a form of domestic abuse. And it is a crime. Everyone has the right to choose who and when they marry, or whether to get married at all. Force can be physical (like threats or physical and sexual violence). It can be emotional (like making you feel like you are bringing shame on your family if you do not agree). If you have been forced to marry, or if you think your family is planning this here or overseas, speak to someone you trust like a teacher or phone Shakti or the Forced Marriage Unit immediately. You can also contact the police. 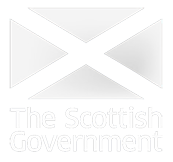 There is more about the law on forced marriage on the Scottish Government website.